The Edifier G4 Gaming Headset has a 7.1 surround sound built-in sound card, so you can figure out enemy movements and stay alert during your matches. The Edifier G4 headset is an over-ear style headset. Having your ears covered will limit any outside noise invading your game. 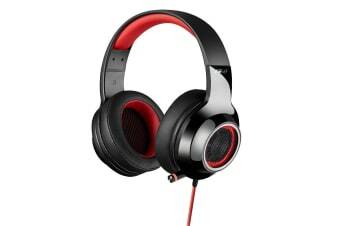 The over-ear style lets your whole ear hear every sound coming from your game without missing a beat. The leatherette ear pads also offer long gaming session comfort. Once plugged in via USB, easily chat with your friends on the battlefield. Connect to your PC or gaming laptop via USB and instantly chat with your team mates. Have the advantage over others in competitive combat! After a relaxing or possible stressful, game playing session, you can easily retract the microphone. Retracting the microphone protects the boom microphone from damaging if someone manages to step on it. 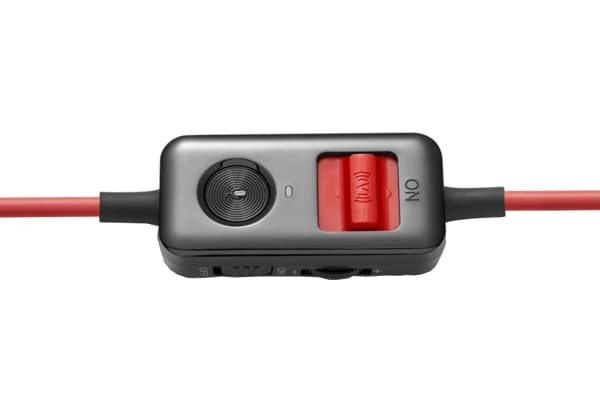 Retracting also lets you neatly place away the headset without losing the boom microphone.